Crowds rushed through a packed Los Angeles International Airport late Sunday night, prompted by a series of reported "loud noises" many patrons feared to be gunshots. The scare proved to be a false alarm, but LAX officials evacuated thousands from the airport, prompting hours-long delays for many of the flyers. This incident came just two weeks after a false alarm of reported gunfire caused mass panic in New York City's John F. Kennedy International Airport. 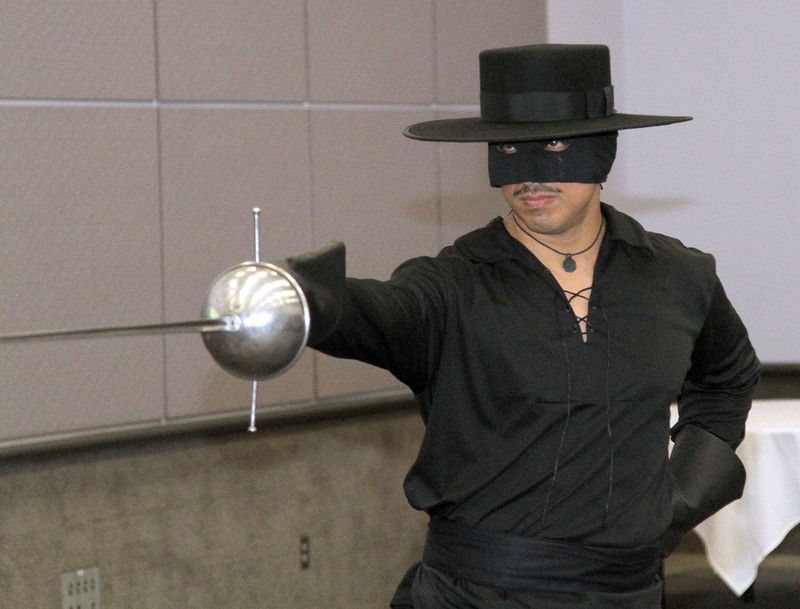 But Sunday night's false alarm may be thanks to a distinctly L.A.-based problem: an actor dressed up as Zorro in LAX. Though airport officials have so far only confirmed the report of "loud noises" as the reason for the evacuation, LAPD also detained a man in the airport dressed as the fictional Spanish character Zorro. Videos show law enforcement surrounding the masked man, who can be heard shouting "It's a plastic sword!" as police descend upon him with their guns drawn. The man dressed as Zorro later spoke with the local CBS2 news station, confirming that he was just an actor coming from an audition, and didn't have time to change out of his costume before making his flight. It's safe to say that next time Zorro will be leaving his cape and sword at home.